RENO, Nev. — The head of one of the nation's largest fish conservation groups says Fiat Chrysler's Super Bowl ads "glorified" the destruction of aquatic habitat in an apparent attempt to appeal to off-road thrill-seekers. It's the second time ads by the automaker have drawn complaints since the Feb. 4 game. Wood said many of his group's 300,000 members and supporters own Jeeps, but the images were upsetting. "Fish are tough and resilient critters, but they don't do well with several-thousand-pound vehicles driving over their spawning grounds, tearing up the gravel where they lay eggs," he said. "Why someone would want to put out the idea that you should buy a Jeep so you could drive it up a creek is incomprehensible to me." The Reno Gazette-Journal first reported the ad flap last week. Pam Harrington, Trout Unlimited's Nevada field coordinator, told the newspaper she was upset because she's worked with ATV clubs in Idaho repairing damage caused by irresponsible drivers. Wood said he didn't learn until this week that much of his membership was upset over the Jeep ads. He said he had already written a personal letter of complaint Feb. 6 to Fiat Chrysler CEO and Chairman Sergio Marchionne after Wood's son noticed the ad during the game. The automaker also came under fire last week for another Super Bowl ad featuring a Ram pickup set against audio of "The Drum Major Instinct" sermon delivered by Martin Luther King Jr. 50 years ago. The 60-second spot included images of the truck with people helping others and hugging loved ones. Critics said it omitted King's words in the same speech guarding against advertisers exploiting consumers, including when the civil rights icon said, "In order to make your neighbors envious you must drive this type of car. ... And you know, before you know it, you're just buying that stuff. That's the way advertisers do it." A company spokeswoman said that ad "was selling the message of serving in your community." Wood, who worked as chief spokesman for the U.S. Forest Service under the Clinton administration before joining Trout Unlimited in 2001, said Fiat Chrysler apparently "got some bad marketing advice" on the Jeep campaign. He said there are plans to connect with a Jeep branch representative for a "broader conversation." 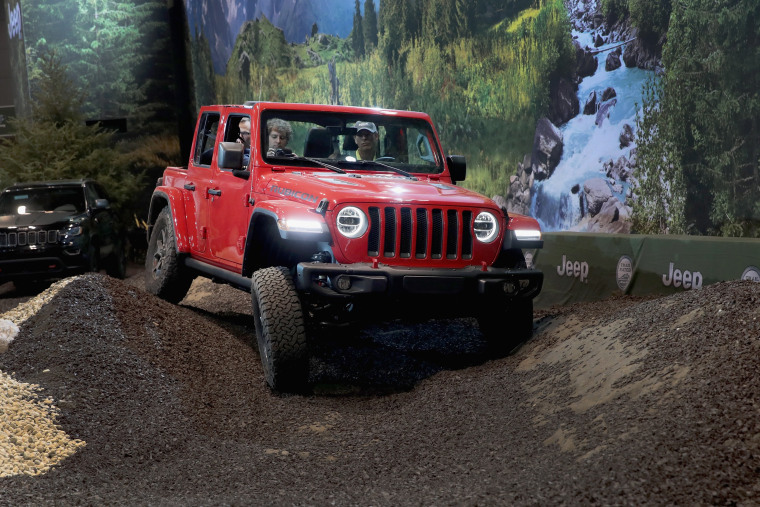 "Hopefully something good will come of this, and we can begin a dialogue with Jeep to promote smart use of off-road vehicles as well as conservation of natural resources," Wood said.